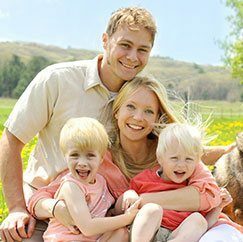 If you are dealing with tooth loss, then you have company. Each year, millions of Americans lose teeth due to severe decay, periodontal disease and traumatic injury. Replacing these missing teeth is critical to maintaining oral as well as general health. There are a few ways to rebuild your smile, but nothing quite matches the performance or appearance of a dental implant. Read about the benefits of dental implants in Arlington and then you’ll understand why Dr. Baldwin prefers this tooth replacement whenever possible. 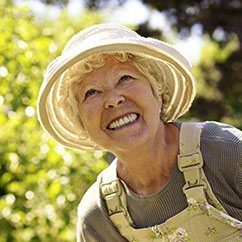 Unfortunately, people over the age of 60 are more susceptible to tooth loss. Even one missing tooth can age you. Furthermore, tooth loss often causes the jawbone to lose its shape, which can also make you look older. 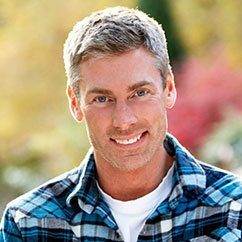 But a dental implant in Arlington fills the gap in your smile and stimulates healthy new bone tissue growth to keep you looking younger longer. Depending on which teeth are missing in your mouth, you may need to eliminate certain foods from your diet like fresh fruits and vegetables, nuts and red meat. All of these are important components of a nutritious diet. Dental implants will allow you to eat these and other kinds of healthy foods. Because dental implants have a surgically embedded post and restoration to mimic the structure of a natural tooth, they are more natural than other tooth replacement options. There is simply no comparison between the look and feel of a dental implant and a removable partial or denture. 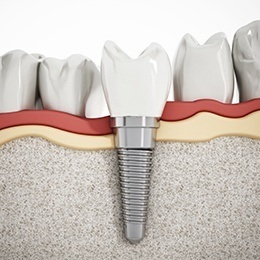 Unlike other tooth replacements, dental implants are freestanding prosthetics. A partial, for instance, has clasps that attach to adjacent teeth, and a denture rests on top of your gums. A dental implant, however, is embedded in your jaw and has no impact on other areas of your mouth. Whatever you do now to take care of your teeth is what you will continue to do once you have dental implants. Be sure to brush your teeth twice a day with fluoride toothpaste and floss at least once a day. And don’t forget to schedule regular checkups with Dr. Baldwin, your implant dentist in Arlington. A smile that is missing one tooth can affect your self-confidence. Of course, several missing teeth could have an every greater impact. Dental implants will allow you to talk, smile, laugh and enjoy a meal with renewed confidence. With good oral hygiene care and regular checkups, your dental implants can for decades. 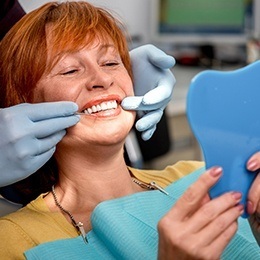 Furthermore, they usually do not require any additional maintenance or replacement like a partial or denture. Just smile and enjoy your dental implants!